Some people insist on doing it all themselves. You know the type. Maybe you are the type. If there’s a way to DIY the job, that’s what they’re doing. Sometimes they succeed, sometimes they fail, but they’re always hands-on. Now, our trained technicians would be more than happy to detail your Acura for you down at the dealership, but we also fully encourage the DIY spirit. And when it comes to washing your car, the truth is that it can actually be pretty enjoyable and not all that difficult if you’ve got the know how and the right tools. From the gear you need, to what to clean with what and how, here’s how to detail your own car so it’ll shine like it was meant to. Putting together a detailing kit of your own with some of the essentials. Get yourself a couple of buckets, a microfiber pad, several clean cloths, wash-mitt, an ultra-soft chamois, some canned air and Q-tips, and some multi-glass cleaner, auto-glass cleaner, vehicle shampoo, leather conditioner, engine degreaser and tire dressing, as well as instructions on how to use each. You can also buy pre-packaged kits, but just make sure they’re right for your Acura. Don’t track inside detritus onto a clean exterior of your car–start inside and work your way out. - Empty out everything! All the change in the center console. All the floor mats! All the Kleenex boxes! Anything that isn’t bolted down. - Next, vacuum all the surfaces including the seat, carpets, under the seat by moving them forward and backwards to access as much area as possible, and inside the trunk. When cleaning the dash or any surface that may scratch, make sure to use the appropriate soft vacuum attachment. - Use canned air or Q-tips to remove any stuck materials from hard-to-reach areas such as vents and grills. - Wipe the doors, dash, console, center console, making sure to use the appropriate cleaner for each surface, or just a damp chamois or cloth. 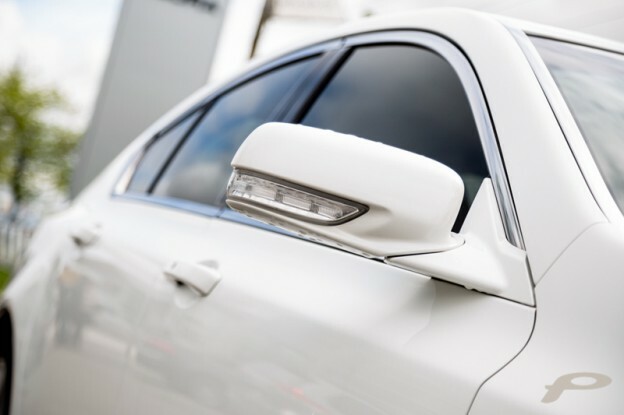 Do not use tire or vinyl shine products on the dash as it can cause glare that may affect your vision, and may leave a film on the interior of the front windshield. - When cleaning the windows, ensure you use an appropriate window cleaner and two cloths; one to spread the cleaner around and remove the dirt, and the second to dry it. With the inside spick and span, head outside and tackle the wheels. - For the least struggle, make sure you use a designated wheel cleaner solution and allow it a few moments to do work on the surface. - Use a stiff brush or pressure hose to dislodge any gunk. - Make sure the tires shine bright by applying some tire dressing after they’re clean, rinsed and dry. - Park in the shade, especially if you’re going to wax. - Rinse the vehicle thoroughly to ensure you remove as much dirt as possible before washing. Use a bucket of warm soapy water and a clean wash mitt to wipe the car’s exterior from top to bottom. - Make sure to wash the bottom last as there is more dirt lower on the vehicle which you don’t want to drag around and scratch the paint. If there is heavy dirt on the vehicle, rinse your wash mitt frequently during use. - Have a separate bucket of clean water to wash particles out of the rags and/or mitt as you clean. - Try to wash, rinse and dry section by section to avoid soapy water drying on the surface. - Dry with microfiber towel or chamois. - If you’re going to wax, this is when to do it. - With a separate cloth and either warm water with a mild dilution of soap or a multi-purpose cleaner, wipe inside the door jambs, doors frames, trunk channels and inside the fuel door area. Didn’t your mother teach you never to cut corners? In the interest of being thorough, be sure to pop the hood and clean in the engine bay. - Depending on how much build-up there is on the hardware, some engine degreaser may be in order. Apply and allow to work. - Wash with a hose, making sure not to saturate areas with electrical components as it could cause electrical problems. - Use a cloth to wipe the engine covers and inside the hood channels. - Apply approved vinyl/plastic dressing to the engine covers if preferred. With the scrubbing done but before you put your supplies away, check your work. - You can also take the opportunity to cut down on interior clutter by limiting and re-organizing the items you put back in. Now that your Acura is glistening like new, time to show it off. Take a victory lap while you plan your next DIY project. This entry was posted in Blog on July 27, 2017 by Anthony Greco.